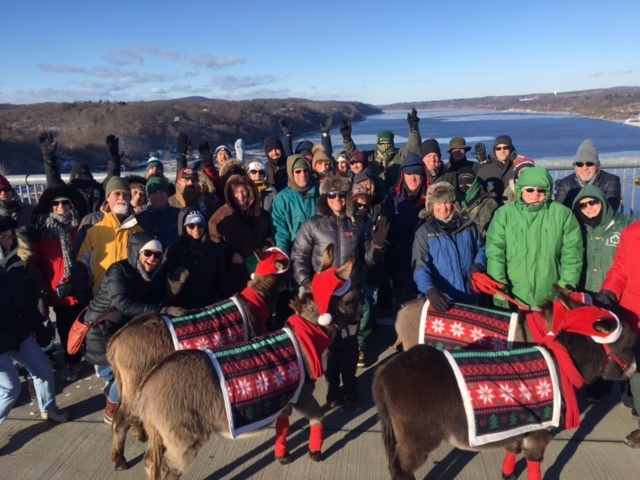 In conjunction with New York State Parks and Trails, join your fellow winter warriors on the Walkway Over the Hudson to ring in the new year with a First Day Hike. Participants (walkers, cyclists, runners, skaters, pets on leash) can gather at either the East or West Entrances to the Walkway 2 p.m. and begin a group hike to the Center Overlook. All participants will be entered into a raffle with a chance to win items including annual memberships to the Walkway, Walkway apparel, tickets to our Independence Day Fireworks Spectacular Celebration, and more. The raffle will be held at the Center Overlook at 2:30 p.m. once both groups (east and west sides) arrive. In the event of severe weather, the hike will be cancelled. Cancellations will be posted to walkway.org and social media sites. For any additional questions, please contact walkway@walkway.org.